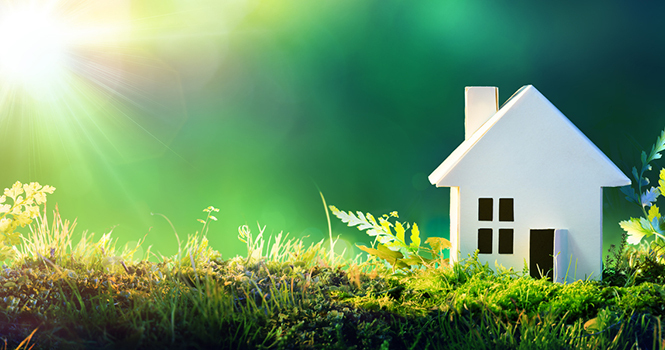 Existing home sales bloomed in May after a rainy April, with the median days on market at a new low and the median sales price at a new high, the National Association of REALTORS® (NAR) reports. Existing-home sales totaled 5.62 million, a 1.1 percent increase from April and a 2.7 percent increase from one year prior. Inventory increased 2.1 percent to 1.96 million—though still 8.4 percent below one year prior. Inventory is currently at a 4.2-month supply. Existing homes averaged 27 days on market in May, two fewer days than in April and five fewer days than one year prior. Non-distressed homes took 27 days to sell. All told, 55 percent of homes sold in May were on the market for less than one month. “The bottom line is that there are fewer homes on the market, and they are selling faster,” says Joseph Kirchner, senior economist at realtor.com®. 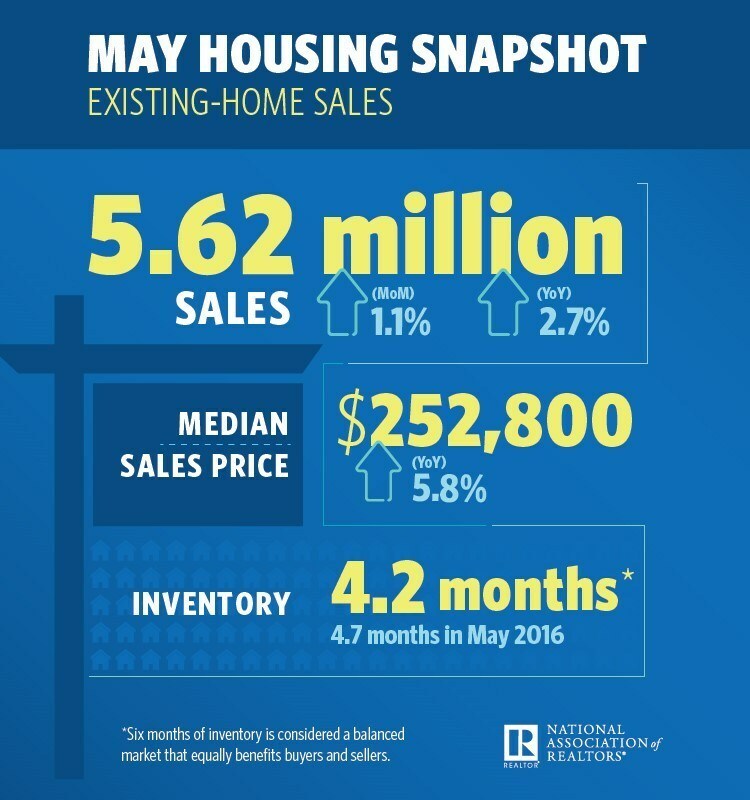 “Tightening supplies have caused steady price growth in the existing-home market; sales are up 2.7 percent since May 2016. In fact, the supply of homes on the market fell from 4.7 months’ worth last May to 4.2 months last month. “With new and existing supply failing to catch up with demand, several markets this summer will continue to see homes going under contract at this remarkably fast pace of under a month,” Yun says. The metropolitan areas with the fewest days on market in May, according to data from realtor.com, were Seattle-Tacoma Bellevue, Wash. (20 days); San Francisco-Oakland-Hayward, Calif. (24 days); San Jose-Sunnyvale-Santa Clara, Calif. (25 days); and Salt Lake City, Utah, and Ogden-Clearfield, Utah (both at 26 days). The median existing-home price for all types of houses (single-family, condo, co-op and townhome), at the same time, was $252,800—a 5.8 percent increase from one year prior. The median price for a single-family existing home was $254,600, while the median price for an existing condo was $238,700. Single-family existing-home sales came in at 4.98 million in May, a 1 percent increase from 4.93 million in April and a 2.7 percent increase from 4.85 million one year prior. Existing condo and co-op sales came in at 640,000, a 1.6 percent increase from April and a 3.2 percent increase from one year prior. Twenty-two percent of existing-home sales in May were all-cash, with 16 percent by individual investors. Five percent were distressed. Midwest fell 5.9 percent to 1.28 million, with a median price of $203,900.